I love toys that are educational as well as fun. 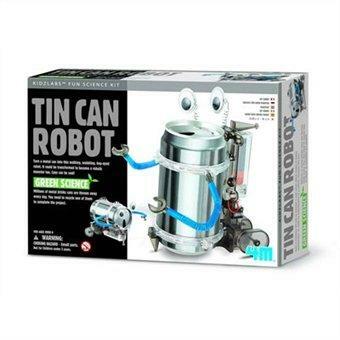 This Tin can robot was educational and fun. Liam my son received this for Christmas and once again I am sick of seeing him on the computer so I had him put this together. A great educational toy at a reason price. The kit is a Tin Can Robot, made with a recycle soft-drink can it walks and has moving eyes.